Spelling. Are you looking for parotid? What does Parotia mean as a name of something? 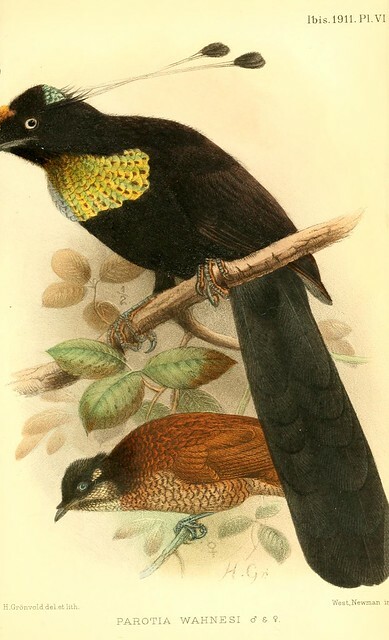 Parotia is a genus of Paradisaeidae, described by Vieillot in 1816. Parotia is a species of Paradisaeidae. View more phrases with the word Parotia in thesaurus! pseudoparotia Gr. pseudos false; genus Parotia Vieillot, 1816, parotia ( subsp. View more videos about Western Parotia. See also the blanagrams of Parotia! Go to the thesaurus of Parotia to find many related words and phrases!